This Is Why Indian Spices Are So Great! Every true Indian foodie knows the importance of spices! The ingredients which give a unique flavor and aroma to the food, which give Indian food an identity that lets the dishes shine out at international levels, are none other than the culinary jewels of India, the spices we all love. The spice which adds flavor and color to the dishes, also benefits our health in many ways. The member of the ginger family, turmeric has been used in Ayurvedic medicine for thousands of years. This amazing spice provides our body with antioxidants and helps in treating heartburn, diarrhea, stomach bloating, stomach pain, intestinal gas and loss of appetite. In fact, turmeric has even been used to manage cancer. It can also be used for skin related issues such as infected wounds, ringworm and skin inflammation. Found in the forests of India, this spice is not only used in food, but also in making delicious Chai. Really, who doesn’t love an Elaichi Chai? To enjoy the aroma of cardamom, it needs to be broken so that the tiny pods can come out and add flavor to the tea. This spice helps in solving a number of digestive problems such as gas, bloating, heartburn and loss of appetite. Cardamom also helps in treating bad breath and is mostly used as a breath freshener. 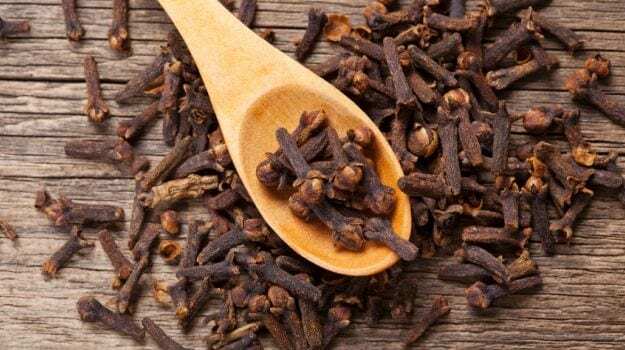 Cloves have an aromatic, warm and sweet taste. Indian healers use the oil, flower buds,and stems of the plant for an array of medicinal purposes. Clove oil is used as a pain reliever and can also be used to treat stomach issues. This spice, which is native to South India is used to add flavor and also for its medicinal properties. 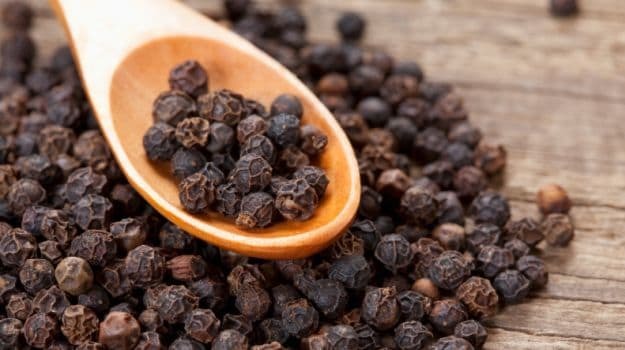 Black pepper helps in achieving better digestion and can also help in heart diseases. 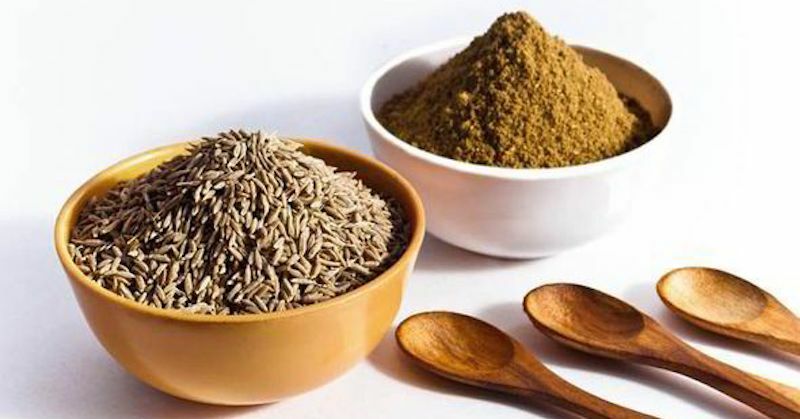 Cumin seeds are extensively used in Indian kitchens and one of the biggest benefits received from these small seeds is that they help in boosting the immune system. Apart from that, cumin seeds also help in pain relief, relieving nausea, indigestion and diarrhea and stomach pains and cramps. The one spice which can be recognized by its strong smell as soon as it is put in the food! Apart from helping in digestion, it helps in treating asthma, bronchitis and cough. This is that one spice which helps in regulating blood glucose levels and helps diabetes patients. 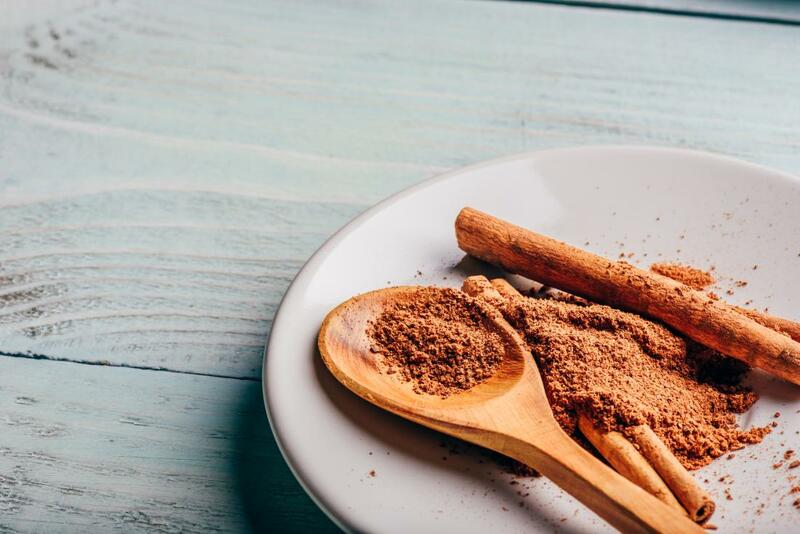 This becomes possible as cinnamon is known to increase insulin action. One of the first things that comes into mind after the mention of ginger is the Ginger Tea, which is a favorite beverage of most Indians. But, this spice is also used in foods, and it can help in providing relief in joint pains and cold. It can also help in regulating blood pressure. Although, these spices are great when it comes to adding flavor to the foods and are definitely healthy, but care needs to taken when consuming spices. The best thing is to use them in moderation because excess of spices in the diet can lead to health issues as well. So, we say enjoy them, but be careful to be healthy and happy. NOTE: If you are thinking of adding some spices to your diet, then we suggest that you consult your doctor, especially if you are on medicines. No information presented here should be considered as a way to prevent any disease.